Arsenal playmaker Mesut Ozil made a small piece of history today after setting up Shkodran Mustafi for the opening goal against Watford. The Germany international floated in a free-kick from which Mustafi headed home to make it 1-0 against Watford, making it 50 assists in the Premier League for him in total. It was a day of records at the Emirates Stadium as Mustafi’s goal was also the club’s 1000th at home in the Premier League era, but Ozil’s stat is the most impressive of all. In notching his 50th assist for Arsenal in the league this afternoon, the 29-year-old eclipsed Manchester United legend Eric Cantona by reaching that landmark in just 141 games – two fewer than Cantona did it in. Many have doubted Ozil in his time in England, but it is numbers like this that show just what a quality creator he is on his day, even if he has sometimes gone missing in the big games. Still, people would also do well to appreciate what a unique talent he is on the pitch as he comes up with the goods for a struggling Arsenal side yet again. 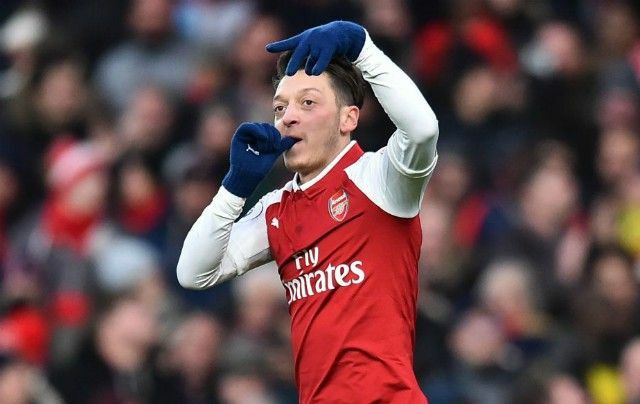 Ozil also set up two in the 2-0 win over AC Milan in the Europa League in midweek, so perhaps it’s about time he starts getting the credit he deserves.